A great smile is a wonderful thing to have, and having bright, white and straight teeth will give you the confidence to share your smile with everyone you meet. Even with the most diligent daily flossing and brushing routine, teeth can become discoloured or chipped over the years, and many people choose porcelain veneers as their solution to improving their smile’s appearance. 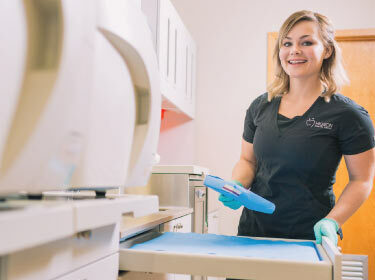 Higson Dental Group is Grande Prairie’s authority on cosmetic dentistry, and we will be happy to discuss your options and help you decide whether veneers are the best choice for you. 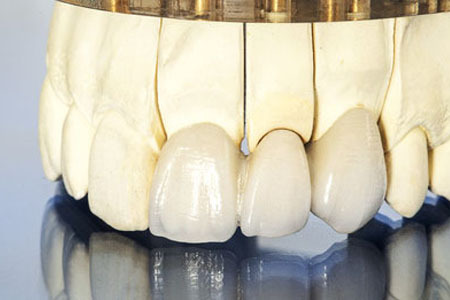 A porcelain veneer is a custom-made ceramic shell that is bonded directly to the surface of an existing tooth and restores its natural shape, size, and colour. You can have a single veneer restore the appearance of one tooth or use multiple veneers to restore natural colour and symmetry back to your smile. If properly cared for veneers will improve your smile’s appearance for years. The first step is to visit Higson Dental Group to discuss whether veneers are your best option, and, if so, you will return for additional appointments to create a treatment plan, prepare your teeth for the porcelain shells and finally to attach the veneers to your teeth. Dental veneers require daily maintenance, just like your natural teeth, and you should continue to visit the dentist for regular checkups. With proper care, veneers can give you a bright, even smile for at least a decade. The dentists at Higson Dental Group are happy to meet with you if you have questions about veneers in Grande Prairie and its surrounding areas, and we are always accepting new patients. Visit our contact page or call us at 780-532-4661 to schedule an appointment.